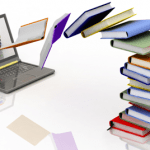 Are you using the Amazon Kindle marketing strategy in your online business? This has proven to be an extremely effective way to get your name and your message out to the world. Amazon and Kindle publishing have become one of my favorite ways to build my business, and with six books of my own, two I have co-authored, and many more I have contributed to, I realized very quickly that having your books rank highly is about much more than just keywords, and that the effort you make will be well worth the small amount of time it takes to help your book reach its full potential. I’ll go into detail about each of these, and please feel free to use my books on Amazon as examples of how each of these has affected my search results. The number of times your book is purchased will have a direct correlation to where it ranks for your category. This can be manipulated, in a positive way, to get you off to a good start. What I like to do, before I tell anyone that my new book is available for sale, is to purchase two copies myself and to have two or three close friends do the same. My thinking here is that I do not want my book to start from rock bottom when I begin my launch for bestseller status. Instead, having just a few sales makes a huge difference in how fast I can climb to the first page. Reviews on Amazon are crucial to your success. My strategy is to ask people to leave a review once they have purchased and read the book, based on their honest feelings of what the book has to offer. I have never offered a bonus or anything else in return for a review, but I have seen others do this successfully. One or two poor reviews – receiving a one, two, or three – will not cause too much harm, but try to offset them with many more four and five reviews. Some topics, such as my book on affiliate marketing, are more prone to negative reviews due to competition with the Amazon community. Amazon only requires that you be registered in order to leave a review, not that you have actually purchased the title you are reviewing. This used to bother me in the beginning, but now I understand that there is nothing I can do about it except to remind my readers to leave their own reviews. I highly recommend that you ask people to leave you a review every time you promote your book, online and offline. ‘Likes’ refers to the feature where you may ‘like’ a book and post it on Amazon. I believe this can be confusing, for if you do not go to the next step and click on this ‘like’ to post it to Facebook, Twitter, Pinterest, or via email, then your ‘like’ remains internal on Amazon and is not effective as an overall marketing strategy. 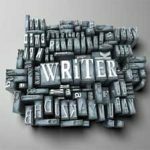 Tags are extremely effective in marketing your book, yet seem to be the least of these strategies used by authors I know. Scroll down on the listing page to see where Amazon is showing you the current tags of the book, if there are any at this time, and asking you to suggest your own. I recommend tagging your book with your name, as well as with two or three additional keyword phrases that describe what your book is about. Listmania! 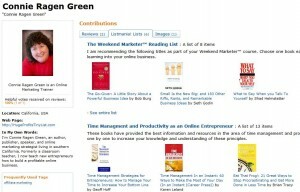 Is something I discovered on Amazon and continue to use in my ongoing book marketing strategy. Amazon allows us to create a list of books or other items and give the list a name. Other people can find these lists to see what you have included. Very little has been written about this to date, but I believe it is a powerful way to boost your book and set it apart from others on similar topics. Take a look at my current Listmania! lists to get some ideas. 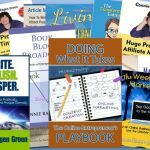 As you can see, there is more to this than simply writing and publishing your book on Amazon as a paperback or on the Kindle. By spending some time to go through each of these aspects you will further enhance the process by which you make more sales, generate new leads, and use the Amazon Kindle marketing strategy to build your online business. Wow, what great information. I have heard you talk about listmania before but until I looked at yours I had no idea we could promote our books within that list. 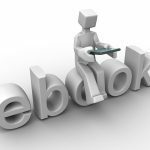 Do you even purchase a copy of your book if it is only in the Kindle KDP program? I need to go check out my books and tag them. Thanks for all the help, I’m looking forward to your return so that I can learn more. 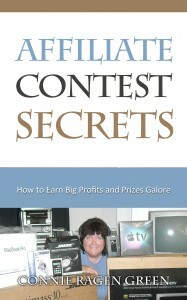 I downloaded Connie’s Kindle book on Article Marketing yesterday. I highly recommend it as it’s an easy read and is loaded with great tips and information! I, too, downloaded Article Marketing yesterday and actually read it. Your time will be very well spent reading it. It’s a great how-to for beginners and a great re-fresher for intermediate or advanced online business people. It deserves a place in your “success library”. Thanks for the wonderful suggestions. So clearly written that someone who doesn’t know much about Kindle can even understand! Your newsletters and articles are some of the only ones I haven’t consistently erased…. as I’ve purged my inbox of so many other newsletters, yours still stand out. Thank you for all the timely and excellently well written information you provide.